Originally published under the title "The 3 Hidden Truths Revealed When Imams Oppose the GLBTQ-Islamist Partnership." Shadee Elmasry, Scholar in Residence and Director of Education and Community Affairs at the New Brunswick Islamic Center in New Jersey. The idea of "Islamophobia" has established itself as one of the most popular and effective Islamist activist tactics over the last 20 years. By recasting anti-Muslim bigotry to include criticism of political and religious ideas, Islamists have sought to unify a diverse American Muslim community into yet another victimized political interest group akin to gays and ethnic minorities. Through this strategy, numerous activist organizations have gained unwarranted political influence and sympathetic media coverage. But not all support this approach. Sometimes, hardline clerics reject the narratives of "intersectionality" and politicized victimhood promoted by Islamists who have embraced the language of progressivism. Today, radical Islam divides between those on the one hand who would use the language of democracy and liberalism to infiltrate and destroy both; and on the other with those unwilling to stomach such charades, often out of a disgust at the supposed wickedness and decadence of the West. Some hardline Islamic clerics reject the narratives of 'intersectionality' and politicized victimhood. A video published on August 14 by OnePathNetwork, an organization with over 700,000 Facebook followers, asked: "Should Muslims Support LGBT equality to stop Islamophobia?" 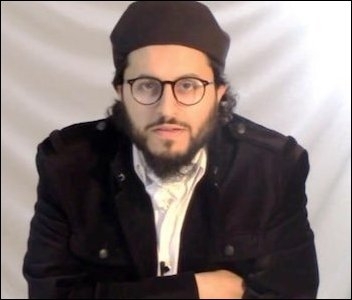 The video featured an excerpt from the question-and-answer session proceeding a sermon given by Shadee Elmasry at Masjid Hamza in Valley Stream, New York. Elmasry is the Scholar in Residence and Director of Education and Community Affairs at the New Brunswick Islamic Center in New Jersey. The video begins with Elmasry describing a recent message he received from a chapter of the Muslim Students Association (MSA) invited to an anti-Islamophobia march. The Muslim students attended the march and discovered that the campus LGBT activists had organized it. Council on American Islamic Relations (CAIR) leaders meeting with representatives of local LGBTQ organizations in Minneapolis on June 13, 2016. Then, according to Elmasry, in less than a week, the LGBT leaders were asking the MSA for support in an anti-homophobia project: "Because you accepted the framework... and so, you have to accept the whole menu now," Elmasry warned. What is "the framework" that Elmasry references? In an August 1st post on Facebook, Elmasry challenges "the most successful secular religion of our generation---Liberalism." We don't need for people to like, to accept us. ... In the Quran, Show me one ayah [verse] of Quran. 'Oh [believers], gather and make sure the kuffar[non-believers] like you.' There's no such ayah [verse]." Elmasry makes clear his rejection of Muslim political activism, saying, "I don't need your acceptance and you don't need their acceptance. Elmasry favors proselytization over unholy alliances. Elmasry favors proselytization over unholy alliances: "What we need to do is give Dawah [call to Islam]. I wouldn't jump on the activists' language of 'anti-Islamophobia.'" He denounces Muslim political activists, accusing them of selfishness: "It's a very selfish mentality that 'we want us to be safe.' No, we don't care about ourselves. We care that people believe in Allah." Elmasry is skeptical of the potential gains to be made through Muslims infiltrating or imitating Western political systems. In the full video of the sermon from which the excerpt is drawn, he dismisses common Muslim political causes, such as the effort to obtain international support for creating a Palestinian state. Elmasry yells, 38 minutes into his talk, "If the kuffar give it to you, the kuffar can take it away from you!" Elmasry's sermon illustrates three obscured realities. First, Western Islam is much more divided than it may appear. Second, the divide is not just between Islamists and moderates, but also includes disagreements between Islamists and conservative clerics over political and theological issues. Intra-Islamist disagreement on LGBTQ issues is a question of tactics, not principle. And third, "the activists" who claim to speak on behalf of all Muslims and use charges of "Islamophobia" like a cudgel in no way possess the broad mandate they claim to have. 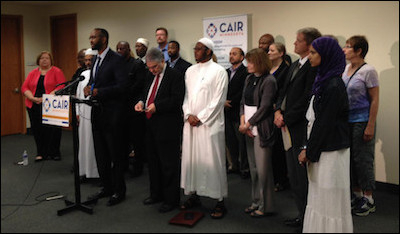 In 2011, a Gallup poll revealed that only 12% of Muslim men and 11% of Muslim women believe the Council on American Islamic Relations (CAIR) best represents their interests, with other Islamist "leadership" groups registering even less support. By now this charade of an Islamist-LGBTQ political alliance has gone on long enough that imams like Elmasry have started to rebel. How much longer until more gay, lesbian and transgender activists realize the truth too -- that this intra-Islamist disagreement is a question of tactics, not of principle?